Lead Statuses should represent the stages that your typical sales opportunity will journey through. For example your first status may be 'Enquiry' & the next would be 'Meeting Booked', then finally having either 'Sold' or 'Lost' as your closing status within a Lead Pipeline. To add your Lead Status to a Lead Pipeline you must first configure these. 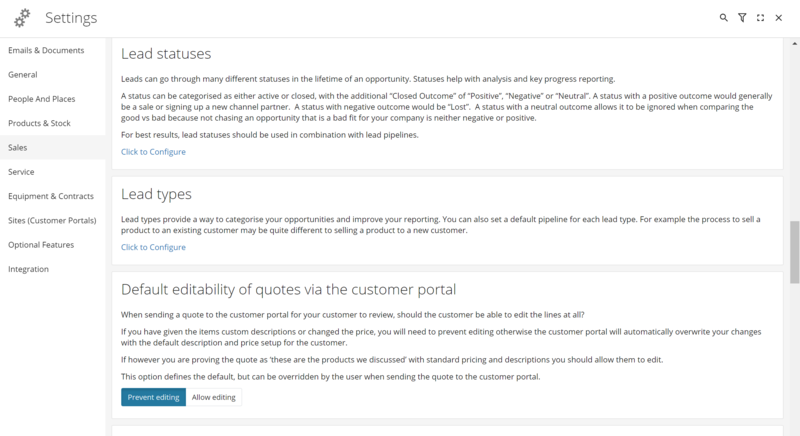 To configure your Lead Statuses you will require Prospect 365 Administrator rights, if you require these then please speak to your key CRM user or our Customer Services Team. To edit your Lead Status, click on the settings icon in the bottom left-hand corner. Once within the Settings Centre, navigate to the Sales section & scroll down until you reach the Lead Status configure option. By clicking on the 'Click to Configure' link, the Configure Lead Status window will open. To add in a new Lead Status click on the + icon along the top of the screen. You will then be asked to give the new Lead Status a description. Please make sure this is relevant to the sales opportunity stage that this status will be used for. Click create. Now you have created the Lead Status, you will need to choose some additional preferences for this Status by clicking the Pencil Icon next to the newly added Status. Recall Required: In the CRM you can ensure users take ownership of a record by setting them a recall or otherwise none as a task. As a result you can determine if a recall is required or not when a lead is in this particular status. 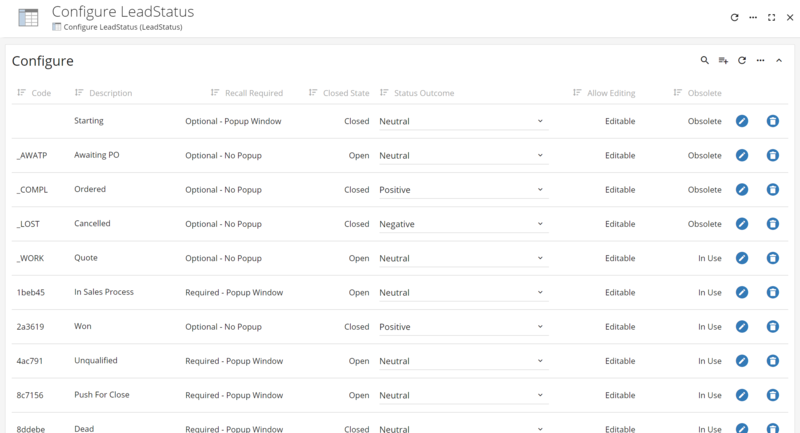 Closed State: If this status is going to be a closed status such as sold or lost then ensure this is selected. Status Outcome: For reporting purposes you can choose whether the status is a positive, neutral or negative outcome. For example a Lost status may be a negative outcome whereas a Won status may be a positive outcome. Allowing Editing: You can choose whether the lead once in this particular status can be edited, read only or only admin users can edit. Status Detail: Status detail can be helpful when further clarifying the current status. For example a status of Lost doesn't really explain why, so you may have a status detail for 'Lost to Competitor' & 'Lost due to price'. 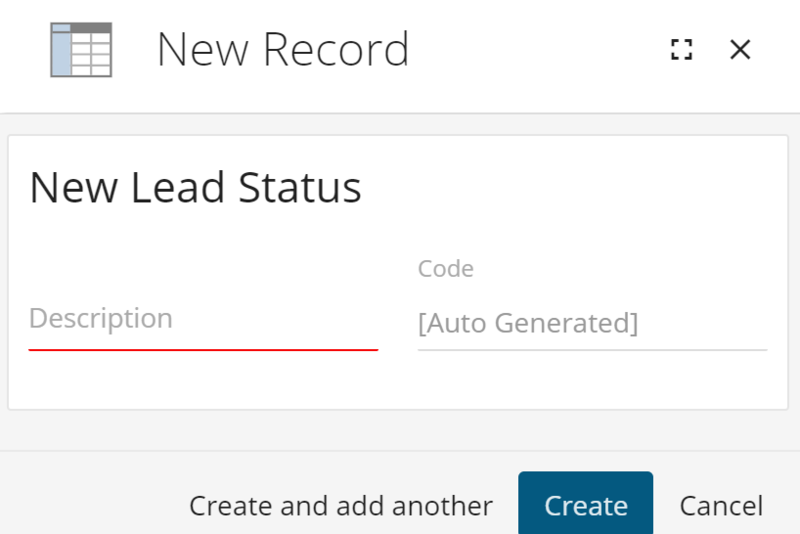 To add your lead status to your lead pipeline please take a look at the Admin User - Configure Lead Pipelines article.